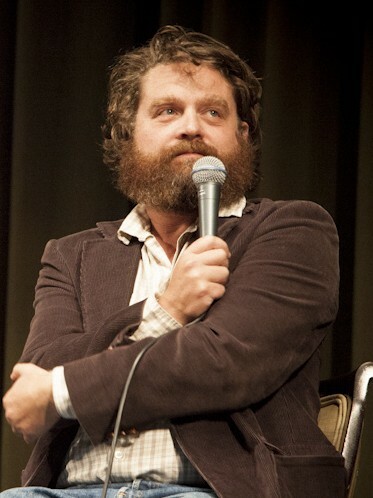 The master of uncomfortably self-assured characters when on-camera, Galifianakis has also broadened his scope to include snippy or smarmy animated characters in "Bob's Burgers" and "American Dad." His nasally patois attached to a toy character would be almost as pathetic as Wallace Shawn's Rex, but rather than an object of sympathy and pity Galifianakis would almost certainly play it as an object of ridicule or derision. Wooly Willy. Galifianakis should give a voice to the magnetically-augmented hair model Wooly Willy and personify the character's helpless submission to a child's boundless imagination for screwy beards and nutty hair styles. You can almost picture Hamm the piggy bank and Mr. Potato Head hazing poor Willy by giving him awful mutton-chops and an afro.